As stevia gains popularity among health-conscious consumers, a lot more attention is being paid to potential stevia side effects. Stevia is an all-natural, herbal sweetener used for culinary and curative purposes since pre-Columbian times. A glance at the benefits stevia offers shows just why stevia is an increasingly popular herbal remedy and alternative to sugar and commercial sugar substitutes. It is a great weight loss aid because it not only has zero calories, but also helps curb urges for sweets and even for fatty foods. Although it is more than 300 times sweeter than sugar, stevia does not have any of the harmful side effects of artificial sweeteners such as Aspartame. Diabetics and hypoglycemics use it to help stabilize blood sugar levels. It helps lower elevated blood pressure among those who suffer from hypertension. It is also used for oral health, to improve digestion, increase glucose tolerance and to help recuperation from minor illness. It is a natural way to make herbal teas and remedies more palatable. What Are Potential Stevia Side Effects? The FDA commonly cited a 1968 research study conducted by Professor Joseph Kuc of Purdue University, that showed a contraceptive effect on female rats that were administered highly-concentrated doses of stevia. The findings of the study pointed to a reduction in the fertility rates of up to 79 percent. However, Professor Kuc himself notes that the findings of his study may not necessarily be extrapolated to humans. This seems to be borne out by the fact that the consumption of stevia has not been shown to adversely affect birth rates among populations that use the herb. Another study that the FDA cited regarding the contraceptive effect of stevia consumption was conducted in 1988 in Brazil. The study involved female rats, and showed that their fertility rates dropped when they consumed stevia during the mating season, just like the 1968 study. However, this study was not conclusive as to the contraceptive effect in humans. More recently, the results of a 2006 scientific research study showed that stevia can have a harmful effect on male reproductive organs. When a male lab rat was fed a high proportion of stevioside, a stevia extract, its sperm production was greatly hindered. The study showed that it could, over the long-term, result in infertility and other reproduction-related problems. A common denominator to all three of these, as well as other similar studies, is that the rodents were administered doses of stevia that were far in excess of the amounts normally taken by human beings. No formal research has been carried out on humans to determine the validity of the findings of any of this research. Even though stevia has been embraced as a sweet-tasting herb that provides health benefits, it is still surrounded by controversy in the United States. Much of this controversy stems back to old arguments that were based on inconclusive scientific research. Others who argue against the claims of stevia side effects point out that stevia has been used all over the world with no side effects at all. In Japan, for example, stevia is used as a sweetener in numerous products while aspartame has been banned. 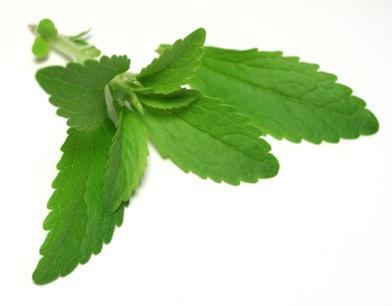 In South America, stevia has been commonly used for centuries with absolutely no side effects. The only country that seems to have a problem with stevia seems to be the United States, even though many studies have shown stevia to be safe. So are there any potential stevia side effects? Perhaps. Despite the findings of these studies, there is no agreement regarding the dangers associated with stevia. What's more, after centuries of safe consumption in South America and decades of use in Asia, there are no known reports of adverse reactions to this herb. For now, until there is conclusive research on the possible effect of stevia on human fertility and reproduction, this controversy will continue to rage on.